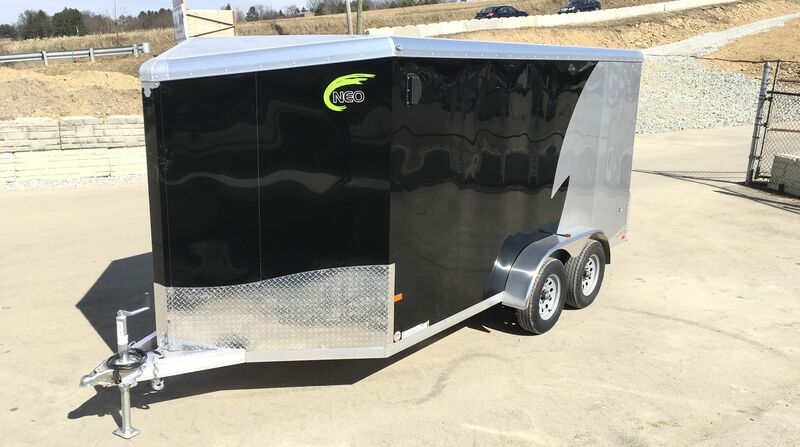 Roll into Bike Week in style Aluminum motorcycle trailers arriving daily. Free aluminum wheel upgrade while supplies last. All-Sport Trailers Ready for all the toys...ATV'S, UTV'S, Motorcycle's, Sleds, and more. March Madness Sale Overstock sale - All heavy duty Ironbull 7' wide dumps are an additional $250 off, even on top of clearance priced units. Applies to bumper pull, gooseneck, and high side models. In stock units only. No transfers. 43 units to choose from. Cannot be combined with other offers. FREE SPARE TIRE WITH ALL REMAINING 2018 MODELS Unless marked otherwise with a clearance promotion, all remaining in stock 2018's will receive a free spare tire. Not able to be combined with a clearance unit promotion. Free Transfers! On many of our trailers we offer free transfer service between Carlisle and Pittsburgh...call for details. No Fees No doc fees, no prep fees, no freight charges...ever. RVs Available In Irwin! Travel Trailers, Fifth Wheels, Toy Haulers, etc. Click the photo to see our inventory! I bought a 20 foot Sur-Trac deck over and am happy with it. I wanted a trailer that was built well but light weight and Best Choice had it. I am pleased with the service overall. Bought a gooseneck from Best Choice. Quality and price is unmatched. It was a little difficult reaching someone by phone but after being there I understand why. They are BUSY. They went above and beyond to get financing and the whole process was quick. I would definitely buy from them again or recommend them to friends. Purchased a 6x12 Dump trailer. By far the best price on a well built product. The salesperson was knowledgeable and made the sale and transfer easy. Well worth the extra drive for my purchase. It was a great experience to shop and buy at best choice trailers. I love my new Lamar trailer and I'm going to foward information for my friends to shop your store. Thanks again. Great guys, great customer service. They stayed an hour and a half past closing time to get a trailer ready for me on last minute notice.